It’s always a pleasure to deal with the folks at Industrial Revolution. 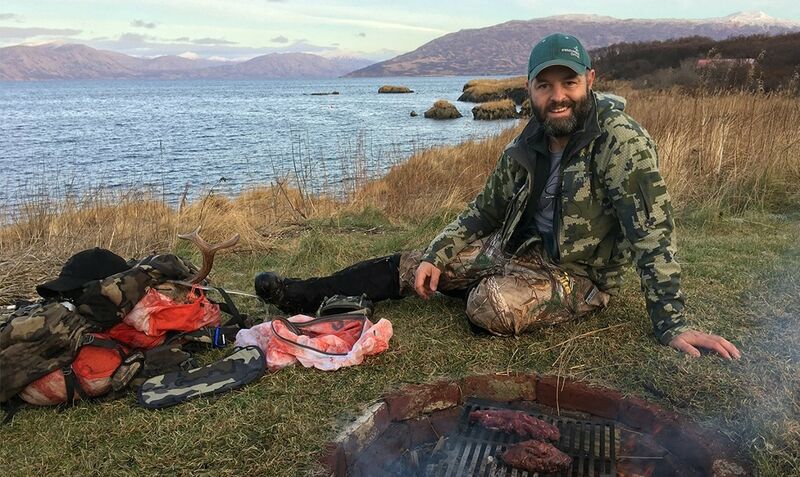 Industrial Rev carries some of the best camping gear and highest quality outdoor equipment around. 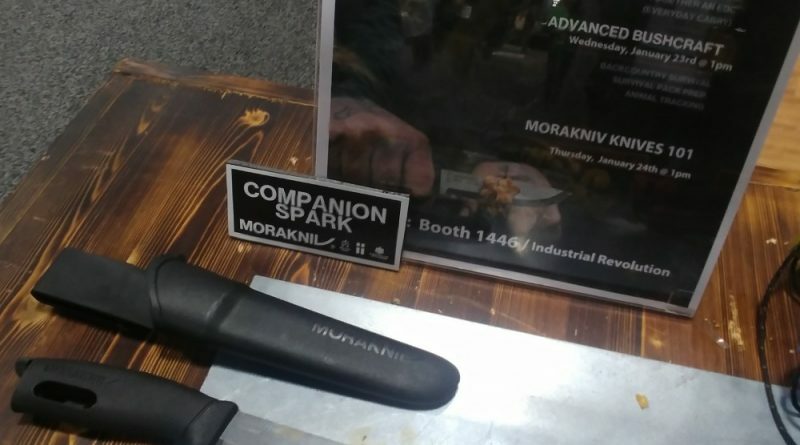 This year when we rolled by their booth to discover a bunch of things on display from Morakniv, UCO and Esbit. 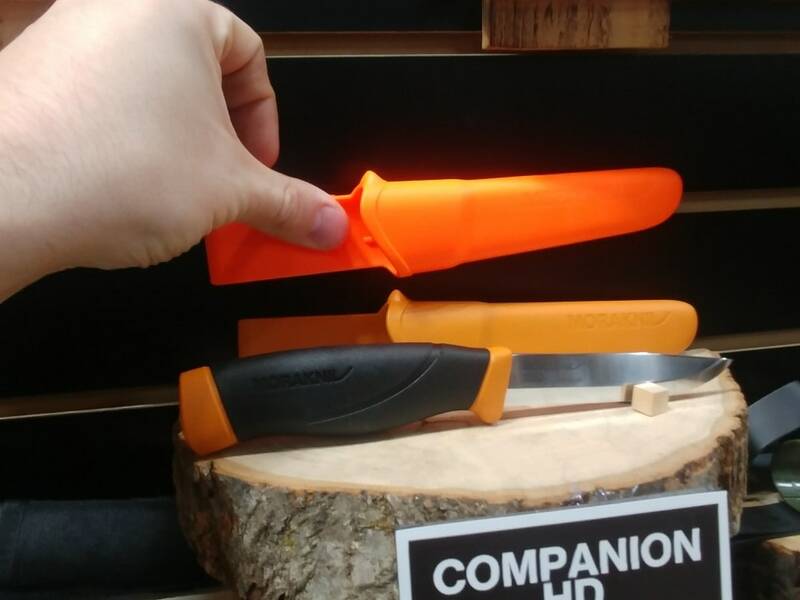 One of the first items I checked out was the Morakniv Companion Spark. If you remember the old Light My Fire knife with flint in the handle, think something like that — but better. Mora built the original for them, but when it was discontinued Mora went back to the drawing board and made it even better. 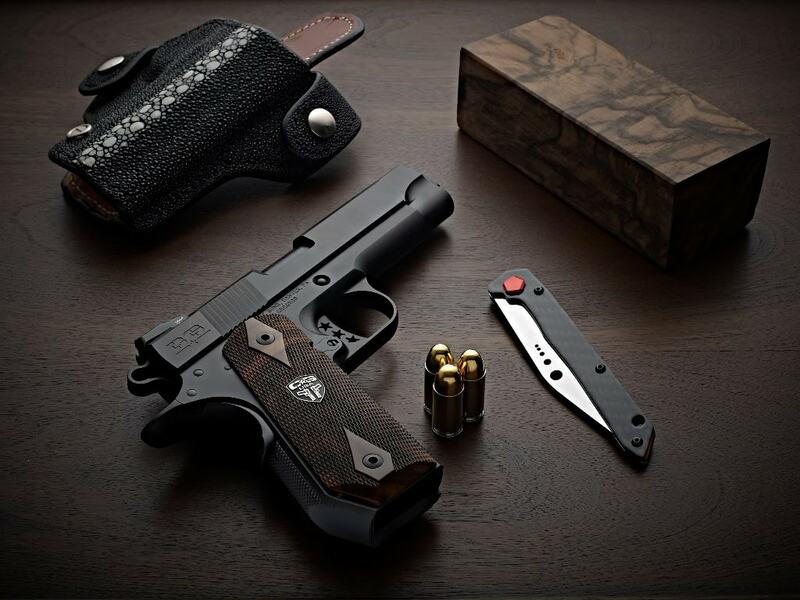 It now features a higher quality knife blade and it is cheaper than the former Light My Fire version. One nice touch – the Ferro rod twists out of the handle and can be struck on the spine of the knife. Doing some rafting, or worried you might have to engage in a duel while wearing swim floaties? 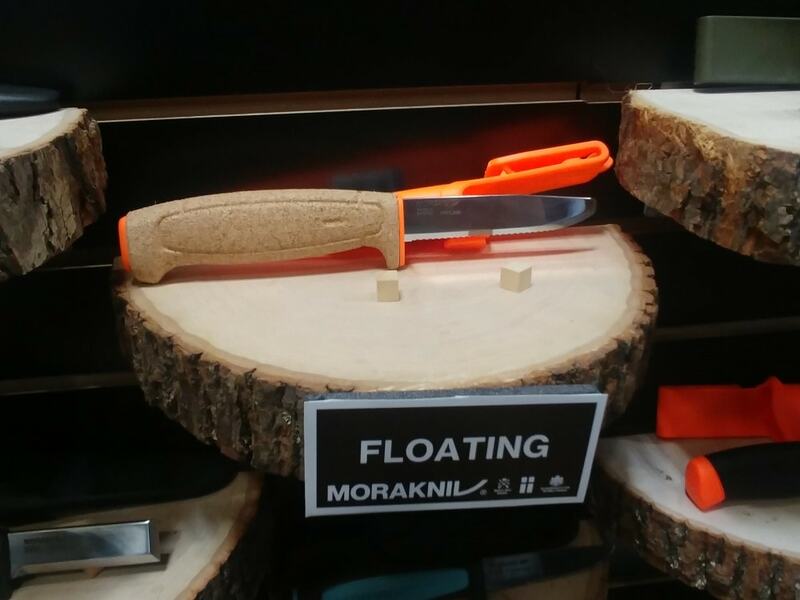 The Mora Floating Knife is almost fully serrated with a rounded tip, so it’s perfect for rafts. The Companion HD now comes with a more subdued orange color. You can see that here below the fluorescent one. 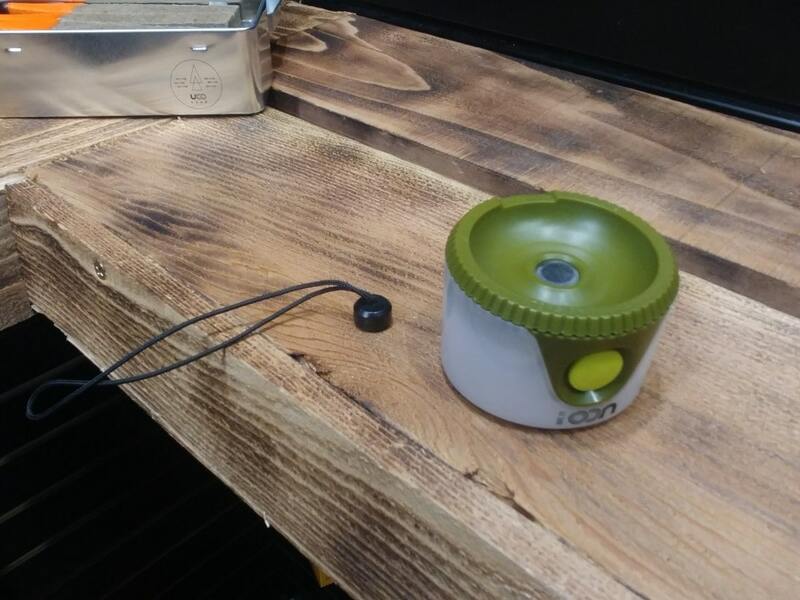 The Sprout is a new lantern from UCO. This pint-sized lantern has a few cool features. The lanyard holds on with a magnet to the top so if it is attached to the top of your tent and you need to move lighting to somewhere else just pull it away. 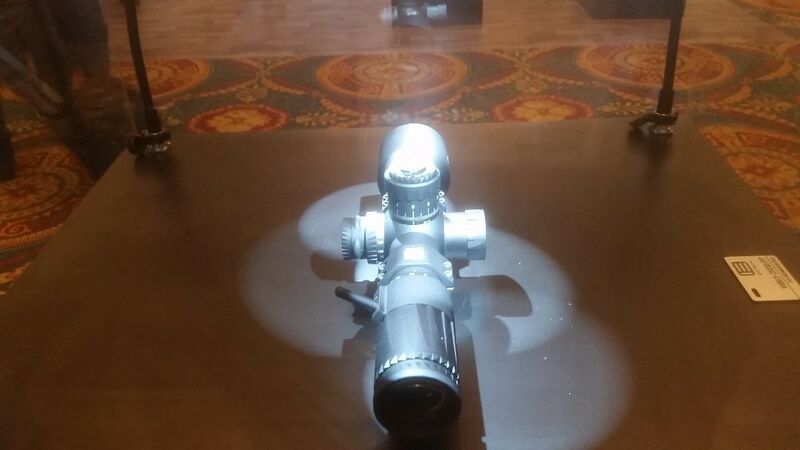 It runs on AAAs, has up to 60hrs of battery life, and on high produces 100 lumens. It will come in black, blue, red and green (we’re partial to the green color). 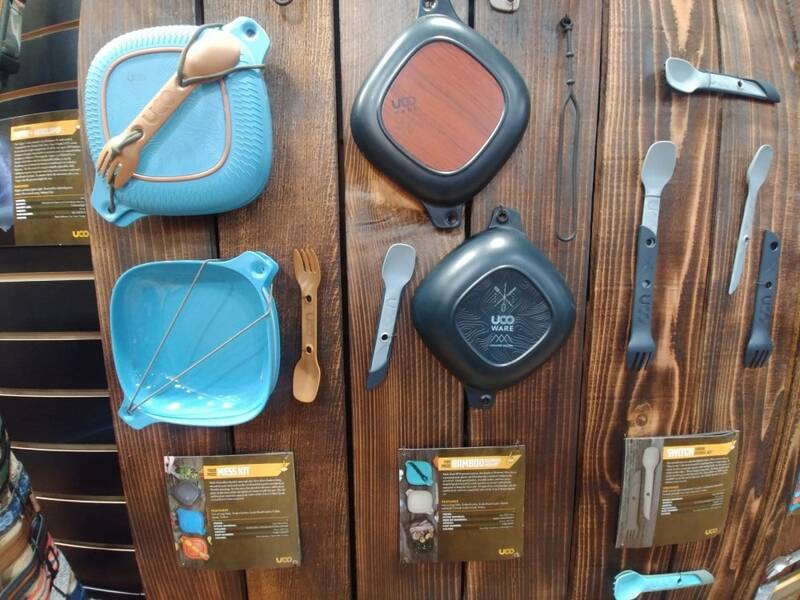 The new line of camp dinnerware from UCO called UCO Ware is pretty cool. The mess-kit is a bit lighter and comes with two bowl/plates, rubber bungee and double ended utensil, giving you a spoon, fork and knife. The cool thing about the bowl/plates is that one has a rubber seal so it can be used the same way you’d use Tupperware. Our favorite new item in the UCO Ware line, however, is the Bamboo. 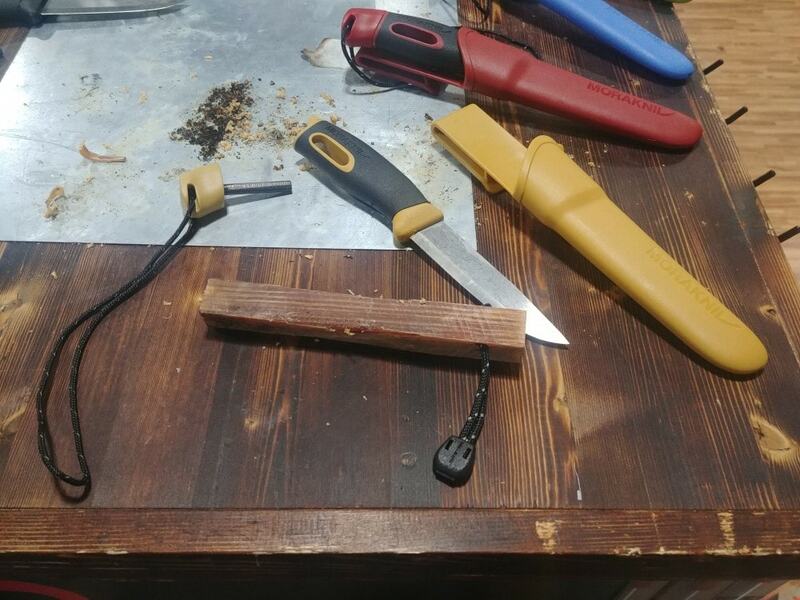 It is made of 90% natural material and has the upgraded utensils that include a spoon with a knife on one end and a fork that also acts as the sheath. Find Industrial Rev online or connect with ’em on Facebook (/IndustrialRev/), they’re good people with good products.